Cadillac says it is aiming the XT5 at European customers who want to stand out from the crowd. Cadillac aims to increase its SUV market share in Europe by pricing its new XT5 below equivalent models from German premium brand and by offering more equipment. At 4800mm meters, the XT5 is slightly shorter than the SRX it replaces. It competes with midsize SUVs such as the Audi Q5 and BMW X3. The XT5 with a 315hp 3.6-liter V-6 engine and starts at 48,800 euros ($54,339) in Germany. The equivalent BMW X3, the six-cylinder Xdrive 35i, is 56,600 euros. Audi's closest Q5 model is a lower-powered 230hp 2.0-liter turbo at 46,350 euros, while the sportier Mercedes GLC AMG 43 with a 367hp 3-liter V6 costs 61,761 euros. 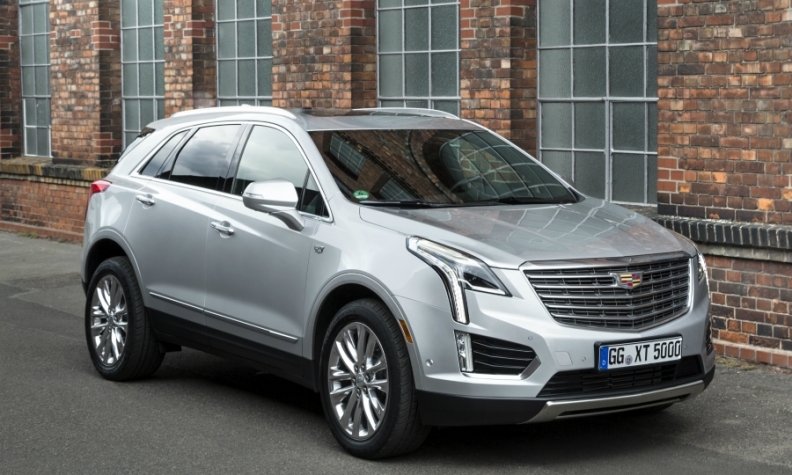 The XT5 will not have a diesel version and Cadillac executives admit that without a diesel the SUV will remain a "niche offering" in Europe with sales of 500 in its first full year. The two biggest markets for the car will be Germany and Switzerland, the company predicts. The XT5 has no right-hand version and will not be sold in the UK. The XT5's target customers in Europe will be those who want to stand out. "They don’t want to be fifth person on the street with the same brand," said Florian Spinoly, the brand's European marketing head. Cadillac mainly sells SUVs in Europe and last year the SRX vied with the full-size Escalade as the brand's biggest seller. Cadillac believes the XT5 will overtake the Escalade. Last year brand sold 579 cars in the region. The XT5 is built on parent General Motors' new global midsize crossover architecture and the company says the all-steel body saves around 68kg compared with the SRX. Despite being shorter, the XT5 is bigger inside thanks to a 50mm longer wheelbase. The engine is a new naturally aspirated V6 already fitted to the ATS and CTS sedans. Technology includes cylinder deactivation to reduce it to a four-cylinder when full power is not needed. Cadillac claims consumption is reduced by 8 percent compared to the outgoing SRX. However it compares poorly with the equivalent BMW X3 35i with a six-cylinder turbocharged gasoline engine, which has CO2 emissions of 193 grams per kilometer of compared with 229g/km for the XT5. The XT5 is one of four new SUVs Cadillac plans to launch between now and 2020, including a new Escalade. A source within Cadillac said that the other two SUVs will be positioned above and below the XT5 in terms of size. Technology: The XT5 offers a rear-view mirror that can be configured as a screen to display a camera view of the road behind. Cadillac says this improves rear visibility by 300 percent. It also offers a standard view. Connectivity: 4G Wifi hotspot linked to GM's OnStar and an 8-inch touchscreen infotainment system. Safety equipment: Pedestrian detection below 80 kph (50 mph). which brakes the car automatically to prevent an accident. Reverse automatic braking stops the car if the radar detects the car is about to hit something while going backwards. What's bad: Ride and handling are well below the European best-in-class. The 3.6-liter V-6, the only engine offered, has poor fuel economy. The SUV lacks rear headroom.